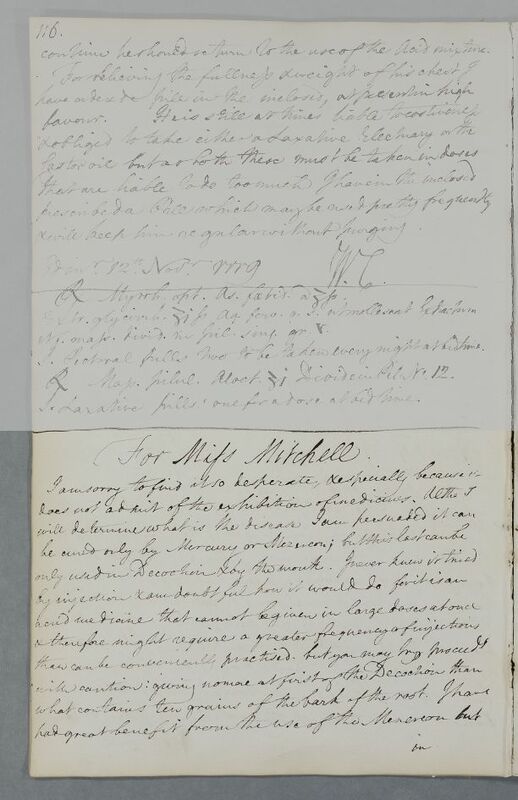 Reply to John Walker 'For Miss Mitchell'. 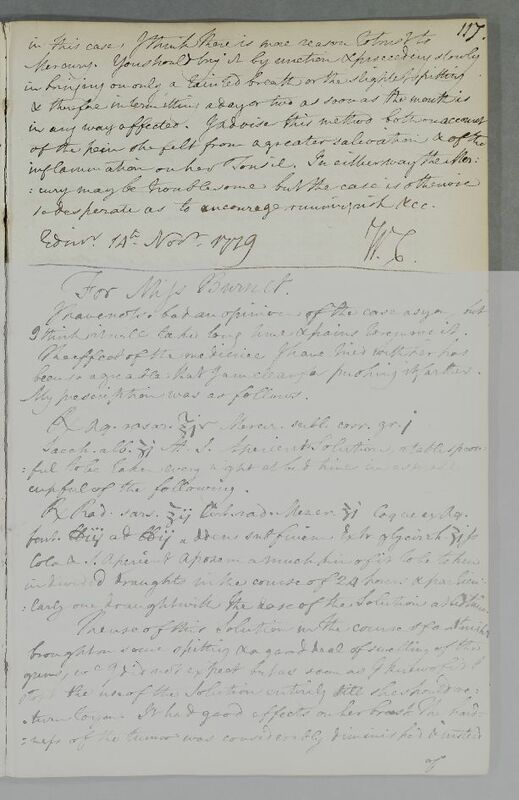 In response to Doc ID:1755, Cullen is sorry to find her case 'so desperate', and advises Walker to treat her with mercury or mezereon, for the use of which he gives directions. Summary Reply to John Walker 'For Miss Mitchell'. In response to Doc ID:1755, Cullen is sorry to find her case 'so desperate', and advises Walker to treat her with mercury or mezereon, for the use of which he gives directions. so desperate as to encourage running risk & cc.